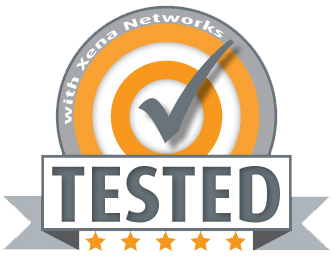 A key difference between Xena and our competitors is our approach to software. All our Valkyrie software is FREE for the first three years. That’s right – no license fees for 36 months! For our Vulcan software, we offer 12 months’ free SW upgrades. We also provide 3 years’ of free software upgrades from date of purchase. (The terms governing this are explained in the Xena Software Maintenance Agreement). There are 5 types of speed license and these reflect the speeds/ports that their hardware chassis supports. You also need packet engine (PE) license(s) to enable the traffic generation performance. For example, the XS-28PE-25G-5S-8P has 28 Packet Engines, so you would have to buy 28 x PEs to enable the chassis full performance potential. You can also specify how many electrical and how many optical test ports you want of the 1/10G L4-7 test ports. Copyright 2015-2019 Xena Networks. All rights reserved.